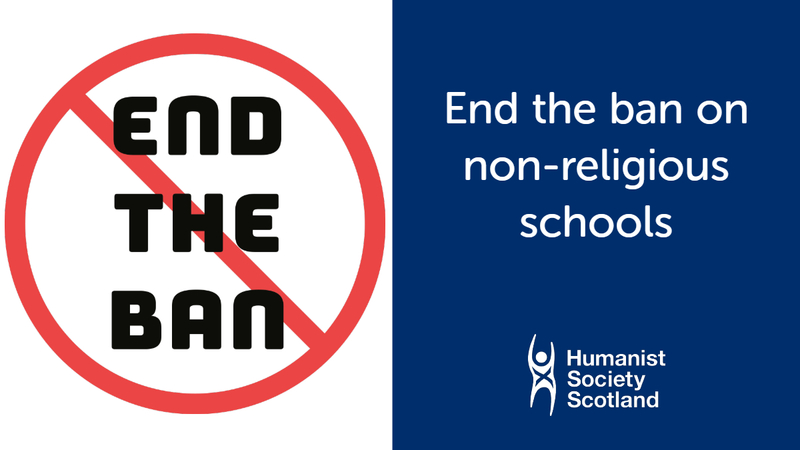 Humanist Society Scotland has today launched a new campaign to ‘End the ban’ on non-religious state schools in Scotland. 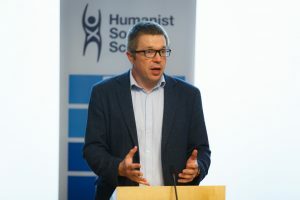 Timed to coincide with the return to school for thousands of pupils across the country, the campaigning charity has published new research figures which show that 60 percent of people in Scotland would support the creation of non-religious ‘Community Schools’ and that a large proportion (40 per cent) believe the current system of opting out of religious observance risks stigmatising children. The charity are calling on parents and pupils to support a new petition to be lodged at the Scottish Parliament. The petition will call on the Scottish Parliament to give Headteachers and parents the right to adopt a non-religious Community Schools model as an alternative to the current faith based non-denominational and denominational faith based schools system. The survey results are from the second and final part of polling research published by Humanist Society Scotland carried out by Survation. This follows last week’s ‘Beliefs In Scotland’ report which showed 59% of Scots consider themselves non-religious. “Today’s figures demonstrate the broad support for a new, inclusive form of non-religious Community School that reflects the diversity of modern Scotland. Many parents assume that only denominational schools in Scotland are faith schools. They are shocked when they learn that their local non-denominational school still host end of term prizegivings and whole school gatherings in a church as part of a church service. Today’s figures reflects the fear of many parents that opting their child out of religious observance will stigmatise their child. “Whilst there has been progress in schools that now include speakers from other faith and belief bodies, the law remains clear – non-denominational schools must provide religious observance that reflects the Christian heritage of Scotland.